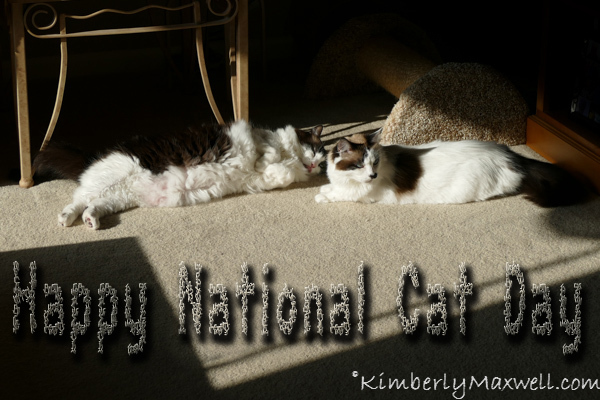 In our home every day is cat day… but we wanted to wish you all a happy National Cat Day too. Let me know if you spot the ‘third cat’. I also like to mention two additional things. 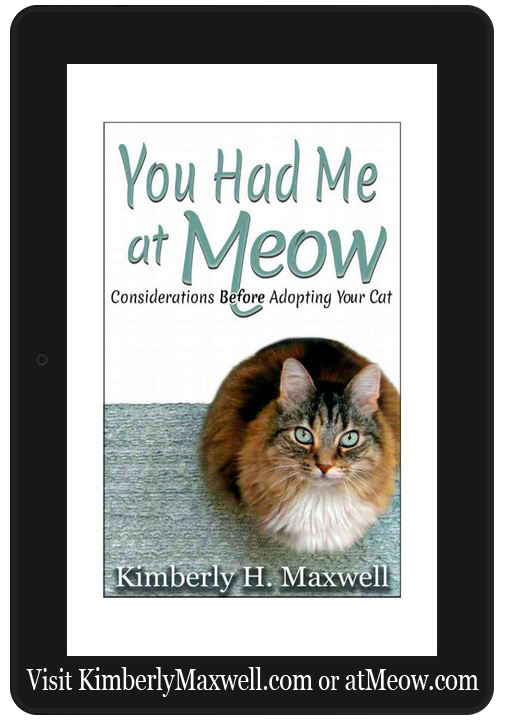 One my new paperback or eBook You Had Me at Meow; Considerations before Adopting your Cat. 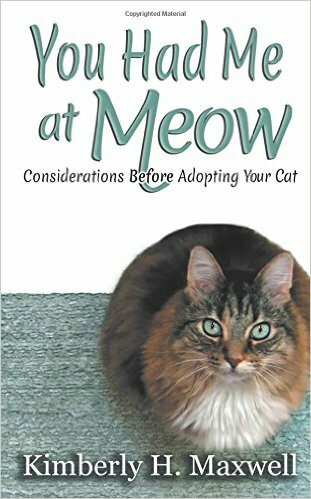 is a quick read if you or someone you know is thinking about getting a cat or kitten. There are things to consider about where to get your new feline from, things to get and pet proofing your home tips. and two, last night I was on a road where a dog got hit, not once but twice. I wish everyone keep their pets in the yard or house and got them all altered but I’m starting to think that is a pipe dream. It also occurred to me that people can call 911 for car wrecks and how great it would be for to be able to call a pet ambulance too. If the business couldn’t find the owners and couldn’t treat the animal at least they could administer pain meds or something instead of the confusion of people not knowing whether to get out of the car, try to get the injured animal off the road or what to do- simply car after car driving over it can’t be the answer. I don’t think most people know what to do. It was dusk and we’ve had local people killed when they were struck getting out of the car to help an animal but there has got to be a better way. This entry was posted in Catch ALL page (blog), Cats and tagged Books, Cat, getting a cat, TnT on October 29, 2015 by KiM. If you know someone who is thinking about getting a cat. Tell them, or gift them this ebook. It’s a short read, it’s not expensive and you may just plant the seed that adoption of a pet is not to be taken lightly or done on a whim. This entry was posted in Books, Cats, TnT, You Had Me at Meow and tagged Amazon, author, Books, Cat, getting a cat, Skeamer, TnT, Trinity, Tyler, You Had Me at Meow on June 11, 2015 by KiM.